The Aladdin Theatre, once located at 2000 East Colfax Avenue, was designed by the architecture firm of Ireland and Pau. 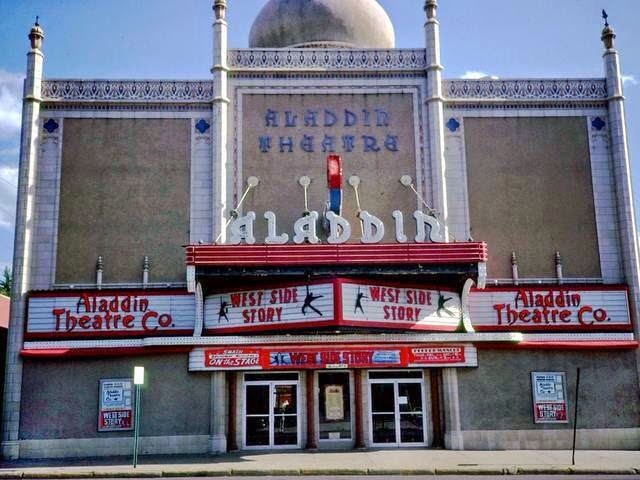 One of the city’s most-celebrated neighborhood theaters, the Aladdin opened to great fanfare in 1926. The public was held in awe at the sight of luxurious carpets in jade green and an expansive auditorium ceiling painted sky blue with hundreds of tiny, twinkling lights. Visitors found Arabian murals and even a bubbling fountain. Congratulatory telegrams streamed in from Hollywood studio heads. The lobby was lined with stands of flowers sent by well-wishers. The Aladdin opened in the days of the silent movies but was quickly converted to the latest technology: sound. In 1927, the Aladdin had the first showing of the Vitaphone film Don Juan, starring John Barrymore, grandfather of actress Drew Barrymore. Later that same year, the public was treated to a run of The Jazz Singer, with Al Jolson. The Aurora Fox Arts Center, a historic landmark located at 9900 E. Colfax Avenue in the Aurora Cultural Arts District, is the city's performing arts center. The Aurora Fox is a 245 seat performing arts facility, with attached rehearsal and scenery shop facilities. A former movie theatre built in 1946, the Aurora Fox was completely renovated and reopened in March of 1985 and currently serves as the home for the Aurora Fox Theatre Company, and the Aurora Fox Children's Theatre Company. The Bide-A-Wee Theater used to be at 1036 West Colfax Avenue. The Bluebird Theater, with its distinctive neon sign, was originally opened on September 11, 1915 as the Thompson Theater. 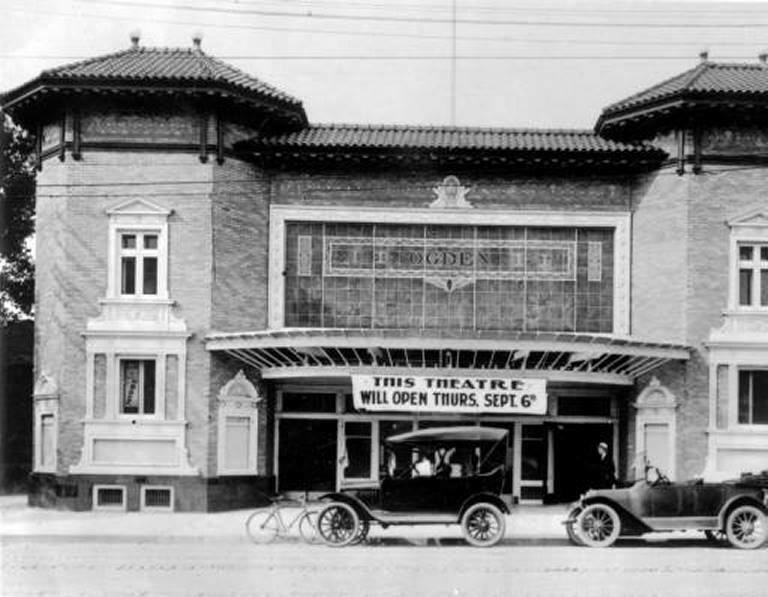 The owner, John Thompson, also owned and operated the Ogden Theater (1917) at 935 East Colfax Avenue. 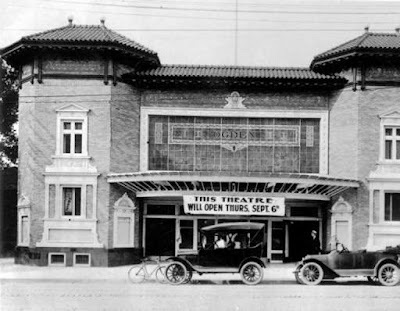 Thompson sold his theaters in 1920, and the Thompson Theater became the Bluebird Theater in 1922. 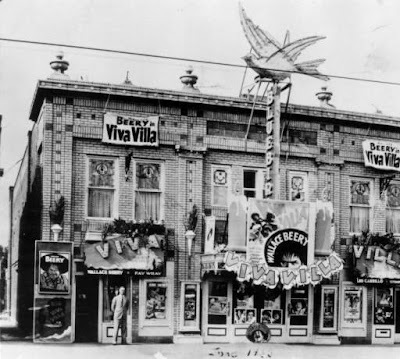 Sometime before 1925, the Bluebird came under the control of Harry Huffman (who also ran the Bide-A-Wee Theater at 1036 West Colfax Avenue and later built the Aladdin Theater at 2010 East Colfax Avenue), who ran it as a movie house in the 1930s. The Bluebird has since been revived as a stage for live bands - 3317 E. Colfax Avenue, Denver, CO. 80206. 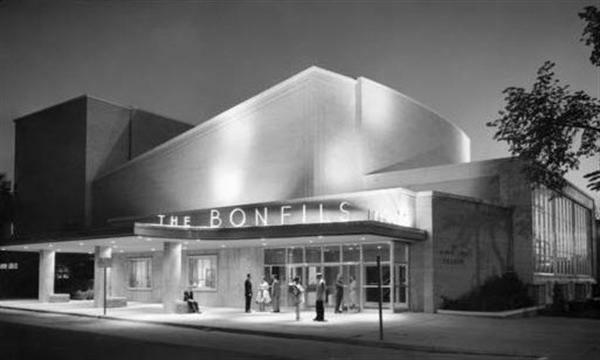 The spectacular Bonfils Memorial Theatre opened in 1953. When former Denver Post publisher Helen Bonfils built her 550-seat theater palace as a memorial to her parents, it was the first new live theater built anywhere in Denver in 40 years. It soon became the epicenter of Denver society. The Bonfils Theatre is now the Tattered Cover Bookstore. The Edge Theater Company - The E project was founded in 2002 by Ken Crow, and originally conceived to give new and imaginative works of theatre a home in the Denver metro area. Now, home of The Edge Theatre Company and The Performing Arts Academy of Lakewood, the E project Executive and Artistic Director, Rick Yaconis, is committed to producing high quality theatre productions, youth arts education programs, and other special entertainment events such as staged readings of new works. The Fillmore Auditorium is kin to the original Fillmore in San Francisco. Housed in a 1907 skating rink (Mammoth Gardens), the Fillmore now boasts a state-of-the-art sound system for rock concerts, a wall of vintage posters from '60s and '70s concerts, and a historic Moorish-style exterior. Long before it became a venerable institution for live music, The Fillmore Auditorium was also once home to the Fritchle Automobile & Battery Co. From 1910 to 1917. Electric-powered Fritchle cars were built and charged at the site. Roughly 500 Fritchle vehicles were produced - Molly Brown had one - each able to run 100 miles between charges - 1510 Clarkson (and Colfax Avenue), Denver, CO 80218. The Heritage Square Music Hall, now closed, was once nestled at the base of the foothills, just south of Golden on Highway 40, twenty minutes from downtown Denver. 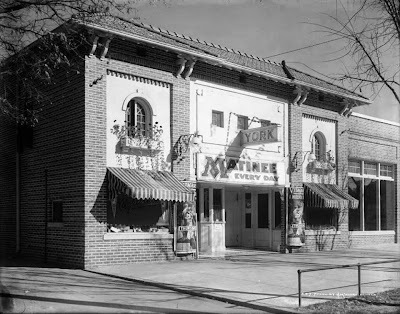 This unique Victorian style theater first opened it's doors on June 1st, 1988. Over the years, patrons have come to appreciate the comedy adaptations of well known literary works, to classic 19th century melodramas, to musical comedy revues that span the decades. Offers a dinner theater experience designed to put a smile on your face and a song in your heart - 18301 W. Colfax Ave D-103, Golden, CO 80401, (303) 279-7800. 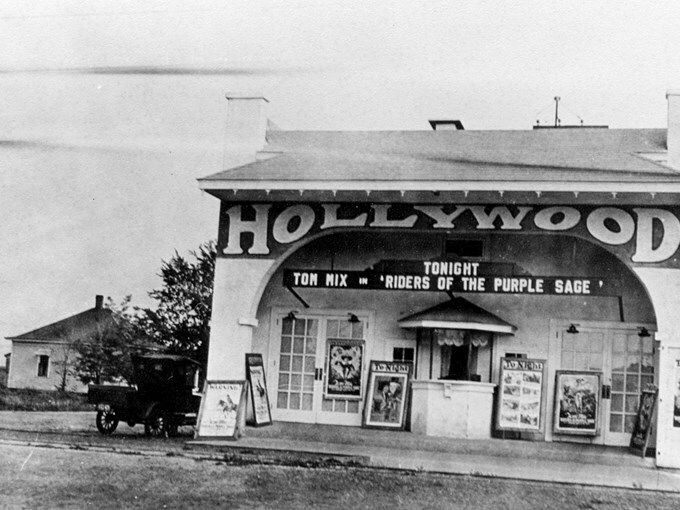 The Hollywood Theater opened in 1924 and is still standing at 9758 E. Colfax Avenue in A-Town (Original Aurora). The Hollywood is Aurora, Colorado's very first theater, and today is being used as the Music City music store. The L2 Arts & Culture Center is a professionally equipped, 500 seat hall specializing in corporate events, weddings, concerts, films, and more. Lakewood's first movie theater, The Lakewood, opened in 1950 at 8000 West Colfax Avenue. 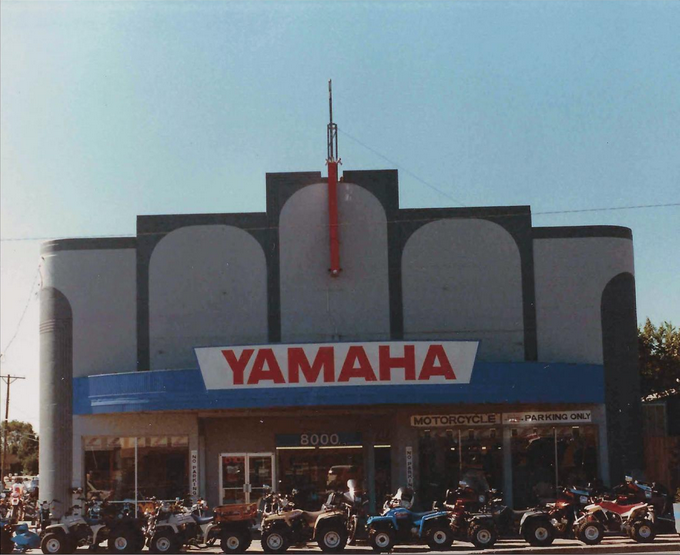 Though apparently someone used to sell Yamahas at this location, today it's the Avalanche Harley-Davidson dealership (courtesy Lakewood Heritage Center). 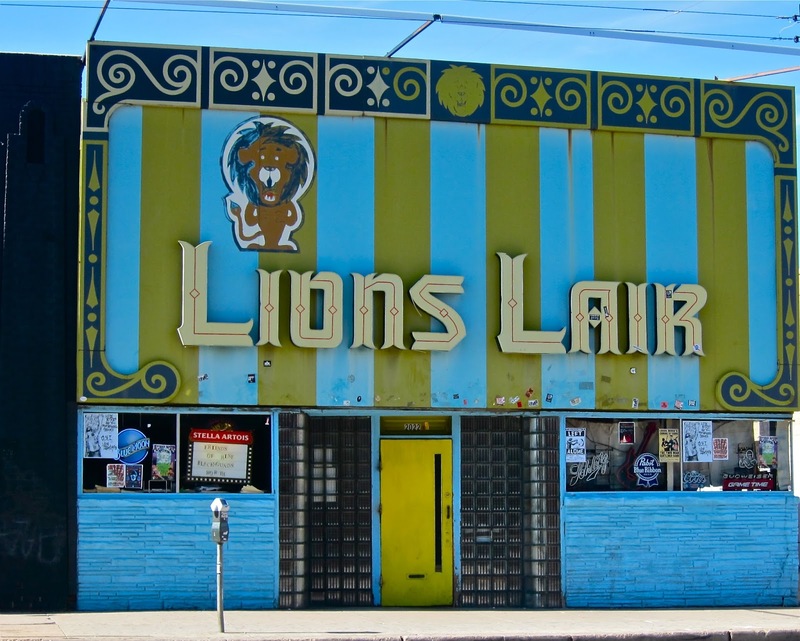 The Lion's Lair - The "CBGB's" of Denver. 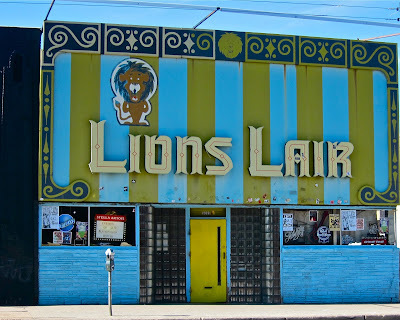 A long tradition of garage, punk, rock, alternative, alt-country, you name it - the Lair is a Denver rock-and-roll institution - 2022 E. Colfax Avenue, Denver, CO 80206. 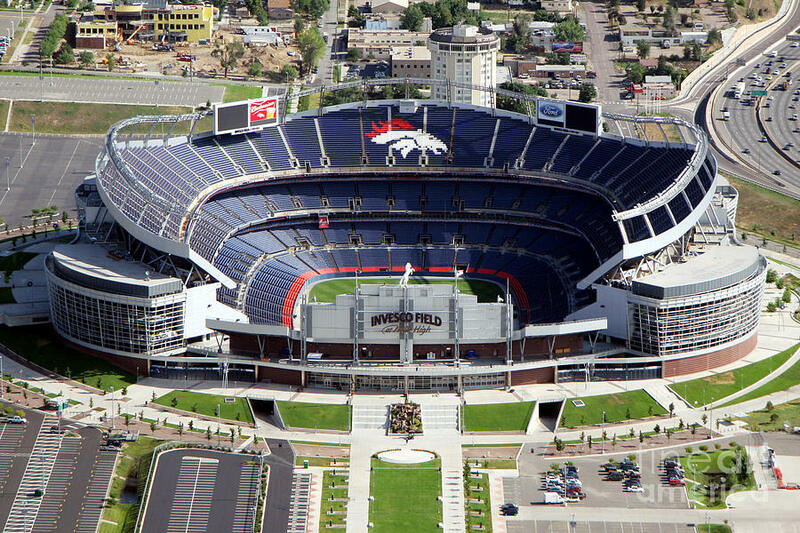 The original Mile High Stadium, opened August 14, 1948. Demolished April 17, 2002. The Ogden Theatre - Built in 1917 as a vaudeville venue and later converted into a concert hall for breakout acts. The Ogden Theater originated the Friday & Saturday midnight showings of The Rocky Horror Picture Show, and Arthur Conan Doyle and Harry Houdini even held a debate here! - 935 E. Colfax Avenue, Denver, CO 80218. 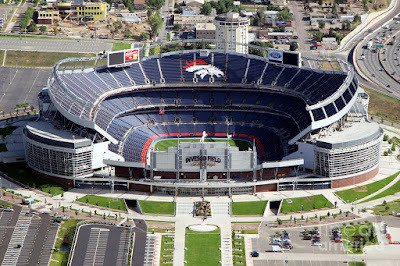 Sports Authority Field at Mile High, home of the Denver Broncos, is located in downtown Denver at the intersection of I-25 and Colfax Avenue. 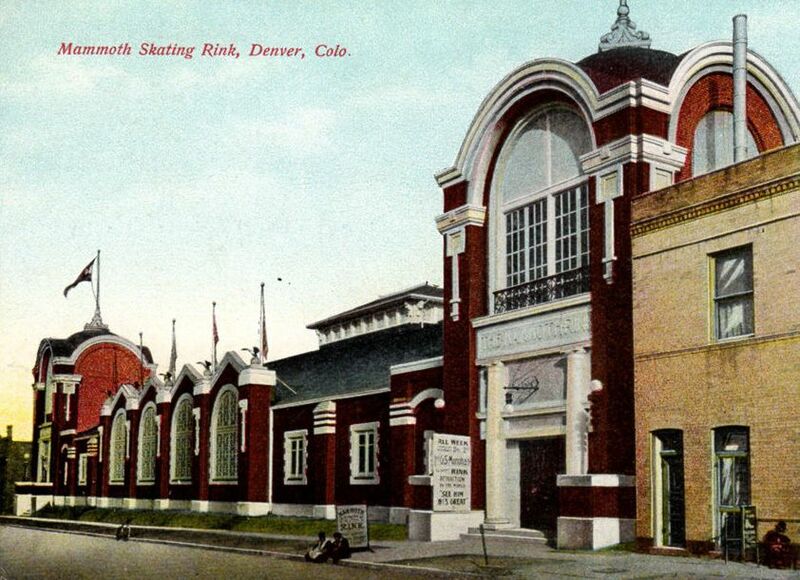 The York Theater (2221 East Colfax Avenue) opened in September 1913. It was a movie theater up through 1919. The original building is still in existence and was Tulper's Clock Repair Shop for almost 70 years, as well as Brik on York, a restaurant and live music venue. The Aliens have landed on Colfax!